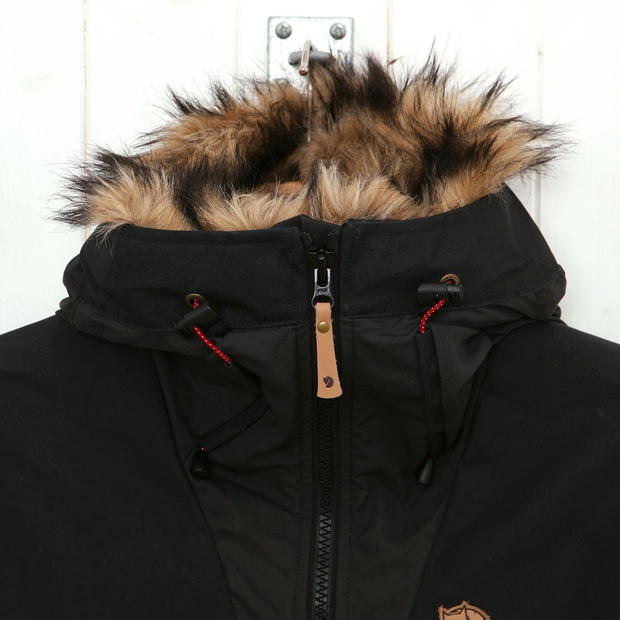 Swedish outdoor brand Fjallraven have created this awesome fur trimmed hooded parka for the cold Winter months. Using their signature G-1000 water resistant material made from a mixture of cotton and polyester and treated with beeswax and paraffin (inspired by the original tent canvas that was used to create the first ever Fjallraven jacket back in the early 60’s), this is one hard wearing jacket. Reinforced patches on the shoulders, elbows, sleeves and back increase the hard wearing nature of this jacket whilst also adding some stylish touches. This is one of those great products that sits somewhere between a full blown outdoor product and a lifestyle garment, whilst being fully acceptable in both areas. The hi-tech look of the reflective bands and drawstrings set against the heritage look of the leather zip-pulls and chest branding should give you an idea of what I’m on about. With an ample amount of fastened pockets and a removable fur hood lining, this jackets is both functional and awesome looking. 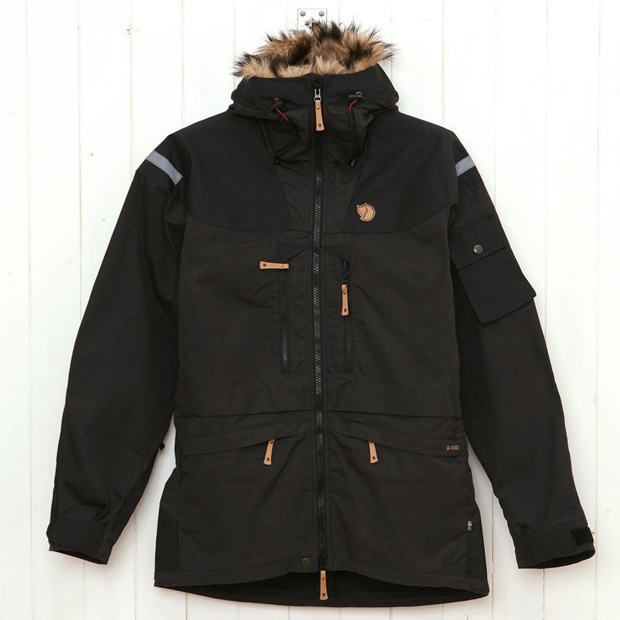 If you want to stay warm this winter, you can grab one of these from Oi Polloi for £239.